Covering more than 200 exchanges worldwide with over 200,000 symbols and thousands of buy sides and sell sides. The ZagTrader global Order Management solution is your reliable agent for investments in global markets! 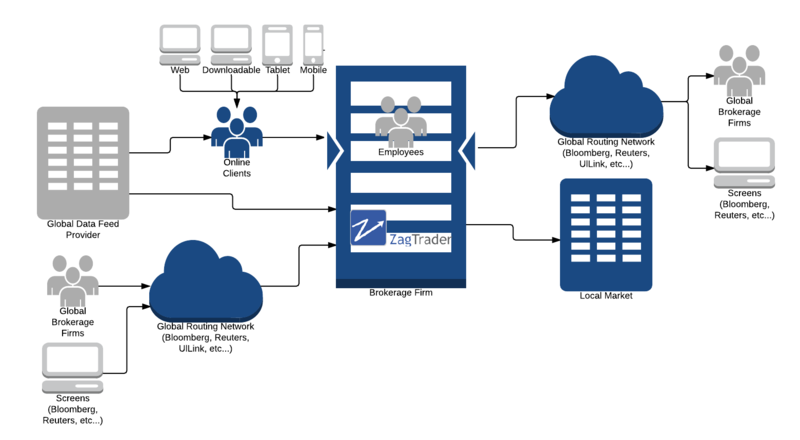 The ZagTrader Global Order Management solution brings together the best of both – the ZagTrader Sell – Side solution and the ZagTrader Buy – Side solution. Covering more than 200 exchanges worldwide with over 200,000 symbols and thousands of buy sides and sell sides. The ZagTrader global Order Management solution is your reliable agent for investments in global markets and is where you exceed the limits and become the prime brokerage or asset management firm you dream to be.